I'm worn out. The release day of the PS3 version of Tales of Vesperia is upon us. My copy of ToV was shipped out earlier today so I'll get it within the next few days. 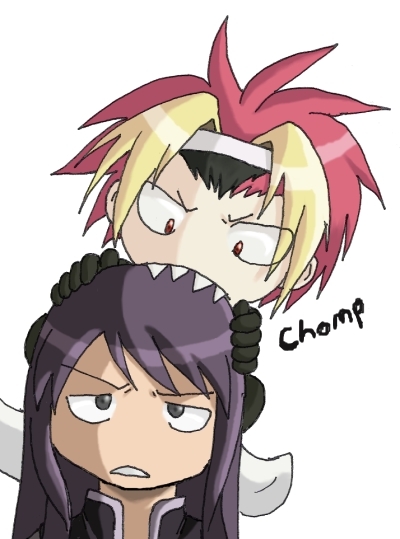 Poor Yuri getting bitten in the head by Zagi. Hahaha.